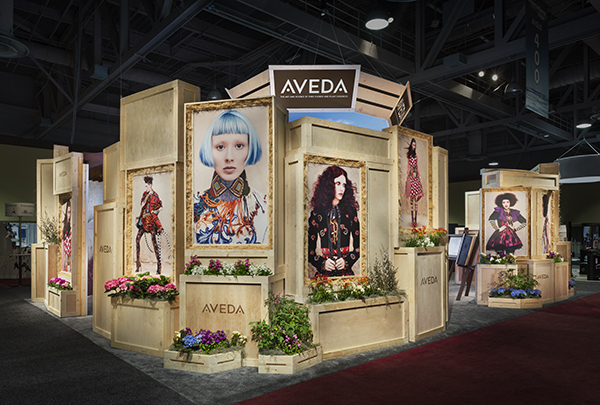 Aveda had not been to a trade show in 14 years and had an objective of reinvigorating the brand awareness in the Southern California market to share the Aveda vision and concept. With an emphasis on the art and science of pure flower and plant essences at the core of Aveda, it was important to create a natural environment that would be a unique experience in itself within the limits of the show hall. Aveda wanted show attendees to feel as though they were transported to another time and space upon stepping foot inside the booth. nParallel partnered with Aveda to create a trade show expression that would not only reflect the Aveda culture, mission, vision, and values but also feature the theme of their new year-long theme, Culture Clash. nParallel was able to take Aveda’s vision and create a 30’ x 40’ eye-catching oasis that was stunning yet functional all while showcasing the natural look and feel that is key to Aveda’s brand. 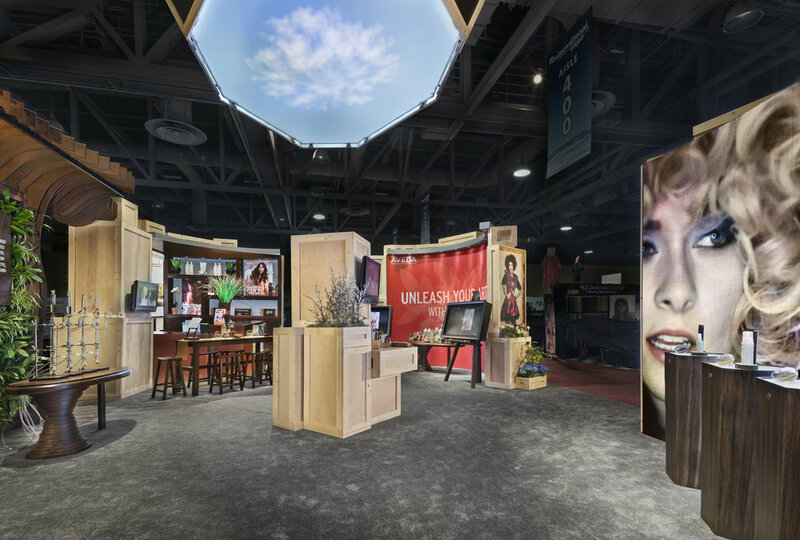 A wide range of elements including a waterfall, aroma tunnel, two curved digital LED screen walls, a digital flip book and an aroma table were utilized to design a booth that married whimsical charm with technical brilliance. 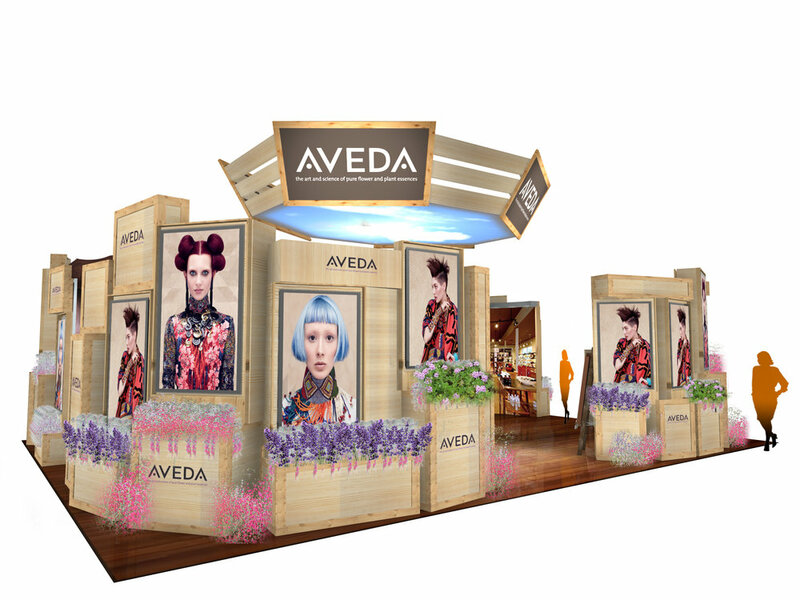 With their featured products in place, the expert team from Aveda was able to successfully utilize all elements of the booth to involve show attendees in a transformative experience.